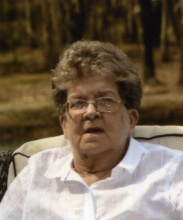 Susan Johnson Hall, 73, of Albany, GA, died Saturday, December 1, 2018 at Phoebe Putney Memorial Hospital. Funeral services will be conducted Wednesday, December 5, 2018 at 11:00 a.m. at Mathews Funeral Home. Rev. Bruce English will officiate. Born in Birmingham, AL, Mrs. Hall had resided in Albany, GA for the last sixty years. She was retired from Phoebe Putney Memorial Hospital as an intensive care unit secretary. She was a caring and loving wife to her husband Wayne for the past thirty-nine years. She enjoyed crocheting blankets for her family members and doing jigsaw puzzles. She loved spending time with family, especially her grandchildren. Mrs. Hall was preceded in death by her parents, Willard Johnson and Christine Golden Johnson, and a brother, Jimmy Johnson. She was of the Baptist faith. Survivors include her husband, Wayne Hall, Albany, GA, two sons, Bubba Sheffield (Marti), Albany, GA, Stevie Sheffield, Leesburg, GA, two daughters, Lisa Sheffield (Lisa), Leesburg, GA, Tammy Potter (Matthew), Leesburg, GA, a brother, Bill Johnson, Dalton, GA, and three grandchildren, Macy Sheffield, Makayla Potter, Bradlee Potter. The family receive friends Tuesday from 6:00 p.m. until 8:00 p.m. at Mathews Funeral Home.